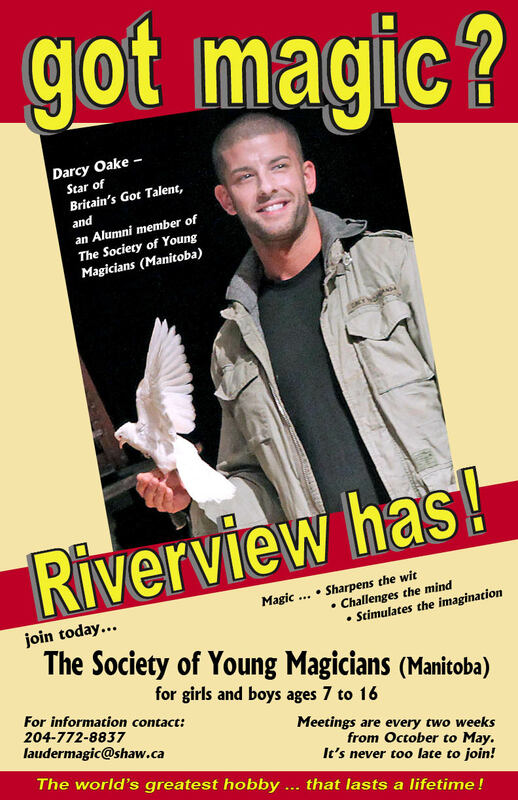 The RVCC is excited to announce that the Society of Young Magicians will once again be hosting a magic instruction program at the RVCC! Community Centre Registration fee is $25 for the season. Dates are listed below. Please direct questions to Dan at leader@symmanitoba.com or the club at 204 452 9944 or gm@riverviewcc.ca.